Miramar at the Country Club real estate features a fine example of condo living at the award-winning Lakewood Ranch master-planned development. The gated community is conveniently located on University Parkway—a mere short walk from the Sarasota Polo Club, and easily accessible from I-75 and other major thoroughfares. 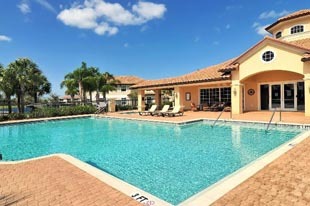 Condos for sale in Miramar offer 2100 to 2800 square feet of living space. The price tags for these lovely, Mediterranean-inspired townhomes range from the $200s to the 300s. Live the life you want in this maintenance-free neighborhood, so you can dedicate your time to the more important things in life and still keep the beautiful appearance of your home. A fine complement to the scenic neighborhood is the community clubhouse, which offers residents a chance to relax in the resort-style pool and spa. A fitness center ensures a healthy lifestyle and the cozy interior provides a homey setting. Play billiards, watch a movie, have a party, entertain guests. You can even use the lushly landscaped grounds as backdrop for pictorials. Fountains, jetties, and gazebos provide an enchanting and romantic background for any memorable event. A certified green community, Lakewood Ranch has over 150 miles of nature trails for hiking, jogging, and biking. The widely protected wildlife in the numerous nature preserves enjoys 3500 acres of the 8500-acre master planned development. You may chance upon a feeding crane or an adorable little fawn as you go about your daily activities. 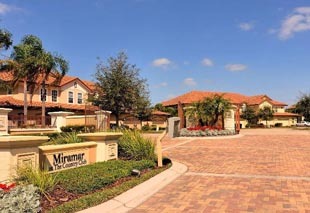 Miramar is situated along the eastern fairways of Arnold Palmer’s signature golf course at the Legacy Golf Club. Additionally, the Lakewood Ranch Country Club has three 18-hole championship golf courses and offers several membership options to residents. Depending on your chosen membership, you can avail of the 18-court Tennis Center on Legacy Boulevard, as well as the Athletic Center’s two heated swimming pools and Cybex-equipped fitness center. Lakewood Ranch has a number of parks and recreation facilities for residents. Adventure Park is a regular venue for community gatherings and activities, and also provides a skating rink, baseball field, and children’s playground. You can also enjoy boating and fishing on Lake Uihlein, The Ranch’s 160-acre lake. Aside from recreation, Lakewood Ranch is brimming with commercial activities. The Town Center on Lakewood Ranch Boulevard provides just about anything that whets your appetite—be it steak, burger, pizza, pasta, sushi or even ice cream. You can also browse through stylish boutiques along Main Street or watch the latest Hollywood flick at the Lakewood Ranch Cinema. Shop for groceries and supplies at Publix, of which Lakewood Ranch has two. 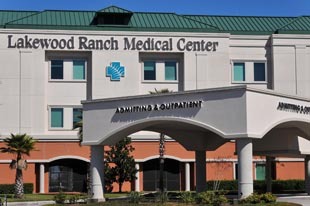 A small town in almost every respect, Lakewood Ranch also has its own Medical Center and a separate Medical Office Building. The 120-bed acute care hospital provides integrated in-patient and out-patient care by over 400 healthcare providers. The Medical Building also houses the diagnostics and laboratory facilities. Lakewood Ranch is a renowned advocate of green living. But aside from eco-friendly homes and a healthy, balanced lifestyle, residents are also provided with a convenient access to all the necessities and comforts in life. At Miramar, all these are within easy reach. Below are all of the current real estate listings available for sale in Miramar.